Last week’s winner is posted to the right. Congrats! Vote for your favorite highlight photo of the week. Winner receives a free poster. NO BOTS! If we suspect bot voting or other cheat methods, we will inspect IP addresses of votes. Cheaters will be disqualified. 5. No Bots! Even if YOU didn’t do it perhaps someone else did. You know… to help you get a free poster. This will lead to disqualification. What is “the Dragon” (aka “the Tail of the Dragon”, “Deals Gap” and “Tale of the Dragon”)? The Dragon is a portion of US129 in Tennessee that features 318 curves in 11 miles. Riders and drivers from all over the world visit the Dragon in hopes of conquering its many twists and turns. Beginning just beyond Punkin Center where US129 and State Road 72 meet, the Dragon winds its way through a portion of the east Tennessee mountains and ends at the TN/NC state line. Beyond the state line lies Deals Gap, the Tail of the Dragon, Fontana Dam, Cherohala Skyway and many other points of interest. As you travel the Dragon, you will notice the US129 Dragon photographers shooting from strategic points along the way. Smile, wave, or simply ignore as you pass by but be sure to check the Dragon photo gallery web site to view Dragon pictures of you taming the Dragon. 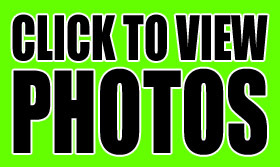 US129photos.com offers the highest quality photos on the Dragon. When it comes to Dragon pictures, US129photos.com has you covered. Our Dragon photographers shoot every day of the week from around 9am til as late as 6pm. We are happy to work with clubs visiting the Dragon and offer some fantastic deals on all your Dragon pictures taken during your visit to the Dragon. Enhance your Dragon photos with a Dragon logo and year or a tribal-style border. Have your Dragon photo put on a mouse pad, mug, poster, etc. We offer professionally designed posters personalised with your information. Our designs are a US129photos.com exclusive and only available here. Go ahead… we encourage you to check out the other Dragon photographers and you will see the difference. See the Testimonials page for comments concerning our high quality Dragon photos. You won’t be disappointed. My baby won best pic of the week! Im so glad you guys like my designs i do every year and include me in your favorites of the week. Im glad your giving the crazy guy on the bike a poster too, he was a strong competitor and it was pretty close there for a little while. I was also wondering how far back do you archives go and how much does a poster usually run? This year was my 7th MINIs on the Dragon but 6th year driving my car, i thought it might be neat if i could get a poster for every year. Thanks again! I checked out all the other guys taking photos and yours were by far the highest quality, biggest selection, and fastest response. I will 100% be a returning customer and should have not wasted my time with the other sites! This photo is amazing. So amazing that the file size is too big for Facebook. Is it possible for me to save it at a lower resolution so I can upload it to Facebook? Thanks! Just wanted to tell you how much we like the pictures you took of us on The Dragon during the TN State H.O.G. Rally this year. The quality is outstanding! It’s just so neat that you provide such an interesting and unique service for anyone who rides or drives The Dragon. As a serious amateur photographer who has done little leagues, weddings, portraits and some action for the past 35 years, I want to commend you on a job well done. the focus, depth of field and exposure was right on the money. I realize that you do this every-day but there are so many out there that never get it right. You sir got it right and I am glad that you were there to take the pictures of me and my mustang. If I had known you were at that curve I may have been a bit more aggressive but you captured the moment well. Rick Bell 69 year old that still enjoys a twisting road. You will note that we are returning customers: we first purchased your shots in 2012. We have shown them to countless other friends and riders; they love them! So, we were glad to see you yesterday and even happier when we saw our pictures. Everyone talks about Killboy, but he didn't even have our pictures up yet. You sent us an e-mail (on time, on target) telling me our shots were there. Thanks for that as well. We are very happy to deal with you! Take care out there on the Dragon and we will see you next time we are here!! The photos are fabulous! I looked at the ones of me from your competitors and they don't even come close! You guys have got it together! When I come back I won't even waste my time anywhere else. Thanks, Dave. You guys are easily the best photographers of the bunch on “the Dragon”. Our Dragon Photographers use only the best Canon gear to produce the highest quality Dragon photos available. Compare to Killboy, 129Slayer, and the other photographers on the Dragon and you will see the Dragon images from US129Photos.com are second to none.